PIONEERING wheelchairs didn’t always exist… QUICKIE created them. From the first lightweight, adjustable wheelchair in the 1980s that thirst for more ENERGY EFFICIENT wheelchairs remains. That’s why we’ve taken the leading technology of our time to create the most advanced manual wheelchair to date – the Krypton. 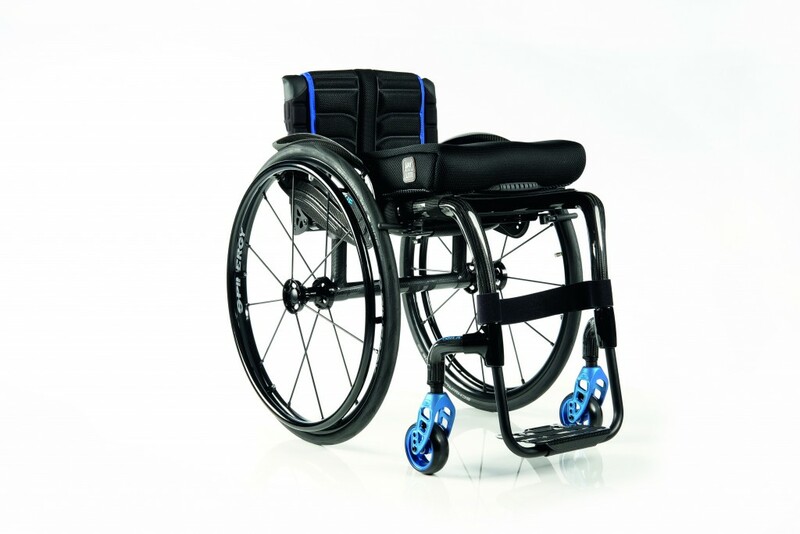 THE ULTIMATE QUICKIE WHEELCHAIR AVAILABLE IN A RIGID OR FOLDING FRAME. The creation of the QUICKIE Krypton has been an evolution over the past four decades, exploring numerous lightweight materials and manufacturing processes to bring you the ultimate lightweight energy efficient wheelchair. Unique manufacturing allows us to create a lightweight carbon wheelchair – like never before – using X BRAID technology which has been previously unseen in wheelchairs. Choose the rigid efficiency of the Krypton R, from just 3.65 kg or the convenience of the Krypton F – the lightest adjustable wheelchair in the world – which folds to a compact transportation size. The Krypton R is our rigid option (and our most efficient). 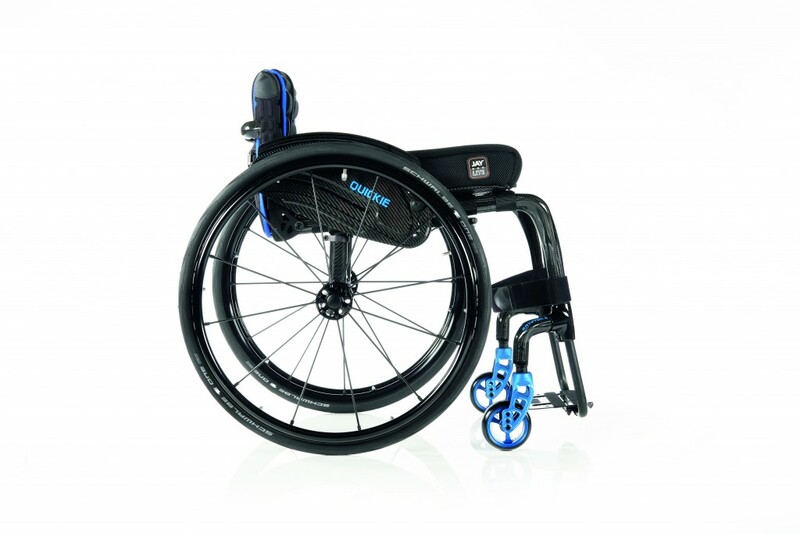 The rigid axle tube is very stiff and reduces overall movement in the wheelchair. This allows more energy that you put into the wheelchair to be transferred to the forward propulsion. The backrest can be folded and the rear wheels removed to allow for a lightweight folding package to be lifted into the car. The transfer weight of the wheelchair can start from as little as 3.65kg, meaning less stress on your shoulders and giving you the freedom to live life on your terms. The Krypton F is the folding options, this means that it can fold horizontally for a more compact size. The folding cross-brace is our most advanced cross-brace ever and is extremely lightweight. The Krypton F is 500g lighter than the Xenon-FF and is the lightest adjustable wheelchair in the world. When the Krypton is folded, you can choose to remove the wheels or stow the wheelchair in a folded position. The fold-down back option provides an even more compact folding package. PIONEERING innovation was at the heart of the QUICKIE 1 back in the 1980s and has remained at the core of each and every QUICKIE lightweight wheelchair thereafter. From the very first lightweight Quickie wheelchairs back in the 1980s we have always strived to utilise the best technologies and materials of each era. From lightweight aluminium in the eighties, through titanium in the nineties and the various advancements in that area we’ve continually sought out the best, most-efficient, material for our lightweight wheelchairs. Our latest development, carbon Fibre has been available in wheelchairs for a number of years. QUICKIE have persisted to optimise how carbon fibre is manufactured to create the perfect balance of strength and rigidity. The result? Sunrise X-BRAID technology is unique to QUICKIE and delivers a carbon fibre wheelchair like never before. Unique manufacturing allows sunrise to create a carbon wheelchair like never before using technology previously unseen in wheelchairs. We are proud to introduce Sunrise X BRAID technology which ensures STRENGTH, rigidity and constant QUALITY. Sunrise X BRAID technology creates a revolutionary material that’s STRONGER, STIFFER and LIGHTER than ever before. CARBON FIBRE is five times STRONGER than steel and STIFFER and LIGHTER than any other material available. That’s what it’s the material of choice for the Krypton. Unlike traditional manufacturing techniques where carbon is layered, the revolutionary Krypton X BRAID technology creates a constant weave in the frame tubing, ensuring zero weak links and delivering a PRECISE and CONSISTENT result EVERY TIME. X BRAID technology provides the QUICKIE Krypton with unparalleled STRENGTH and durability previously unseen in carbon wheelchairs. Once the carbon tube has been braided, it is sealed with a resin for strength. When you receive your Krypton you will be using a chair that is able to keep up with your daily activities, whatever life delivers. X BRAID is just one of the unique technologies we use to ensure each carbon Krypton is BEST IN CLASS. The QUICKIE Krypton blends adapted technology and fine-tuned capabilities to offer our most energy efficient wheelchair to date. The front of the Krypton is LIGHTER than ever before, so you exert less energy when pushing. The centre of gravity of the chair can be tailored to your shape and propulsion style to ensure the optimal set up for you. Your QUICKIE Krypton is available in three bold colour accents (red, orange and blue). Add a splash of personality and show off your signature style – being as bold or as minimal as you desire. Click on the colour options to the right to see for yourself. Click to request a brochure or assessment.